HOT Printer Deal at Walmart!! 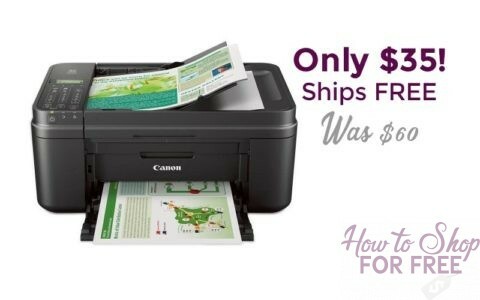 Keep those coupons a’printing through the New Year 😉 Grab this great deal on a top brand printer from Walmart.com – Originally $60, now only $35 + FREE Ship! Check out another Canon Pixma clearance deal HERE!